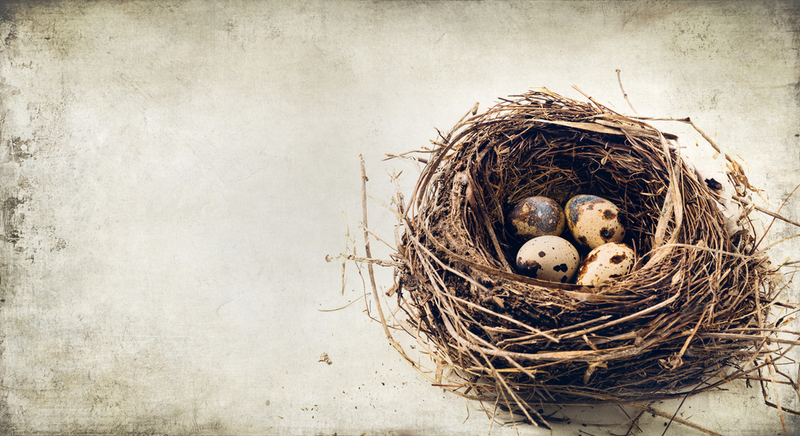 As Full Nesters, we need to always be filling our nests with new adventures and experiences. I did just that last week when I took cooking classes at Sur La Table. 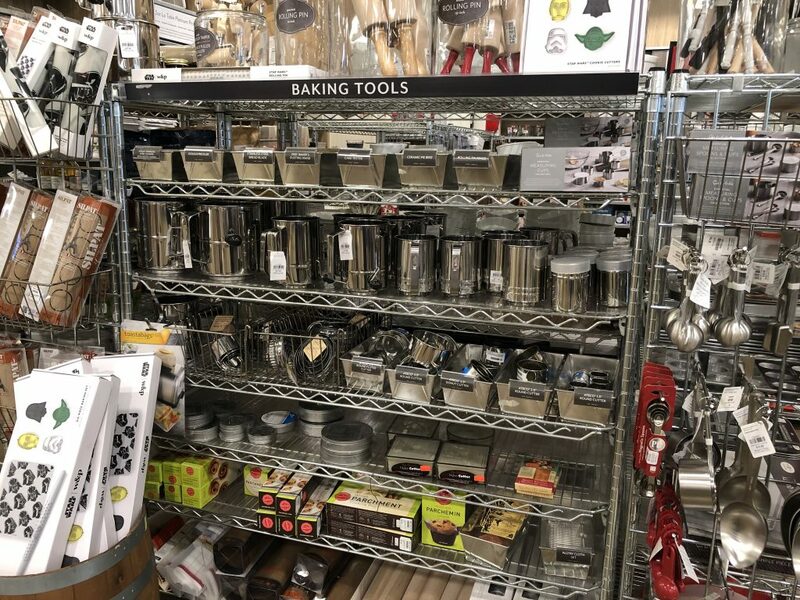 If you’re not familiar with them, Sur La Table is a wonderful store that sells kitchen products and offers cooking classes. 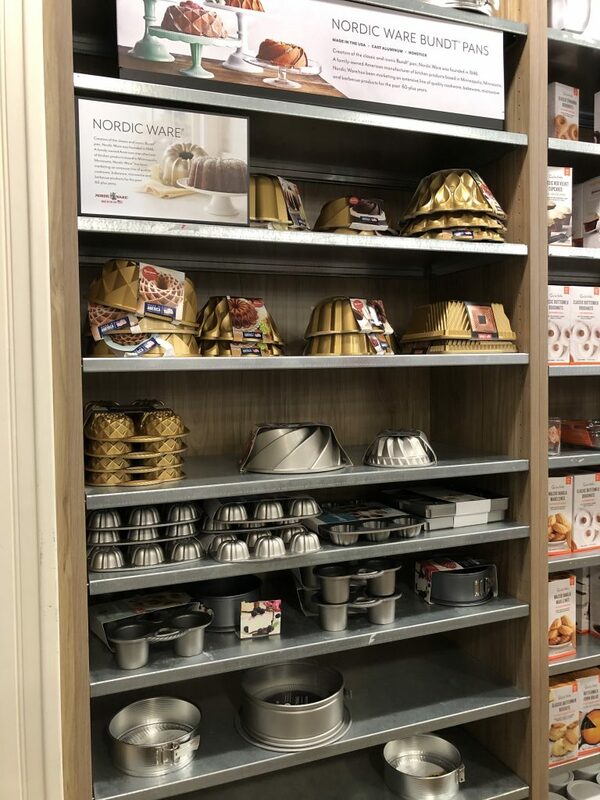 They are similar to a Williams-Sonoma. 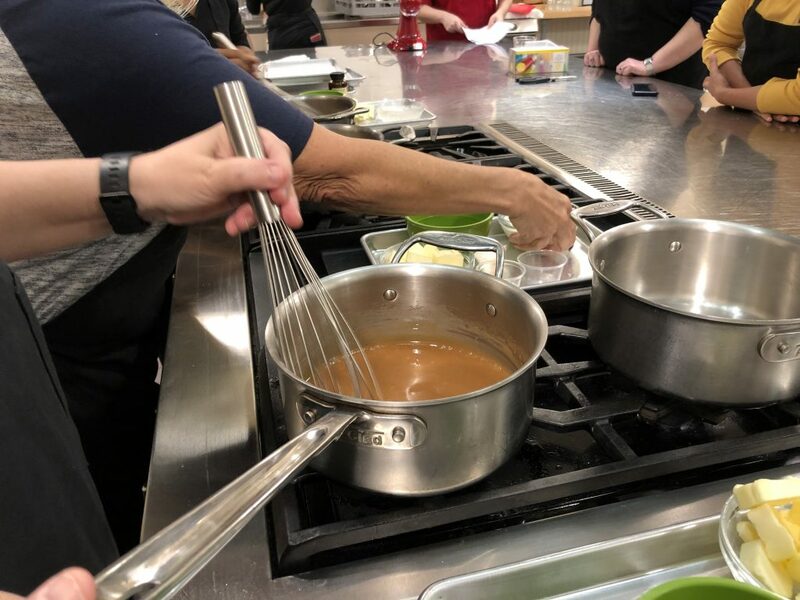 My husband and daughter gave me the cooking classes for Christmas and I was so excited! I guess I could be insulted to be given cooking classes as a gift or some kind of hint, but I’m not. 🙂 I choose to believe this gift is a win-win, because I get to learn to make new stuff and my husband and daughter get to eat my results. I’m an adequate cook, but I feel like I’m really good at baking. I’ve mentioned before that I’m a “rules” girl, so baking makes sense to my brain. It is an exact science. None of that “pinch of this, toss some of this” stuff. It says “one cup” of something, and that is exactly what you do. I love the structure of it all. So I signed up for some baking classes at Sur La Table. 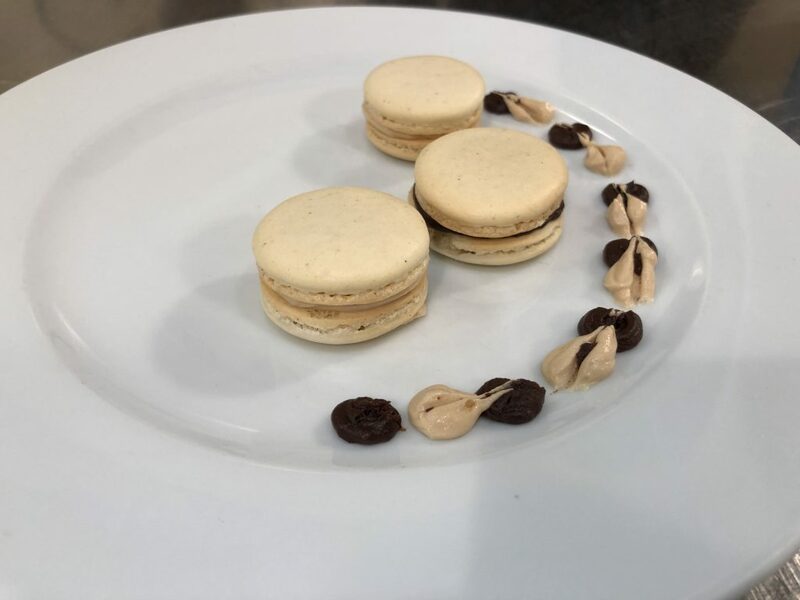 I wanted to learn to make croissants from scratch, and also macarons. You can sign up and pay for your classes on line once you choose your location. I showed up and was instantly happy. First up, croissants. We were greeted by a lovely young chef and told to don our aprons. We were shown how to operate the Jura coffee machine so that we could help ourselves to freshly brewed coffee during class. We were put in groups of three and the chef told us that because of time constraints, we were going to work backwards. The dough process takes a long time so we would be using dough the class the day before us had made. 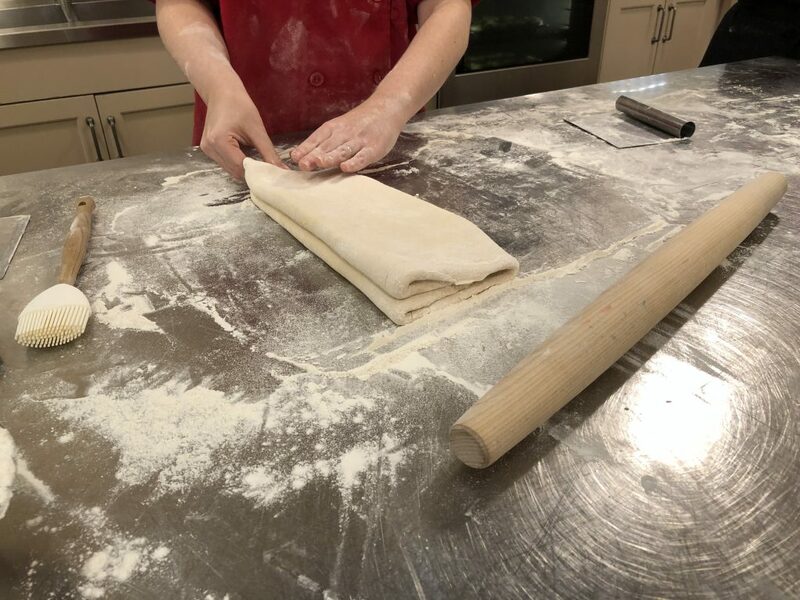 While our croissants were baking, we would make the dough for the next day’s class to use. 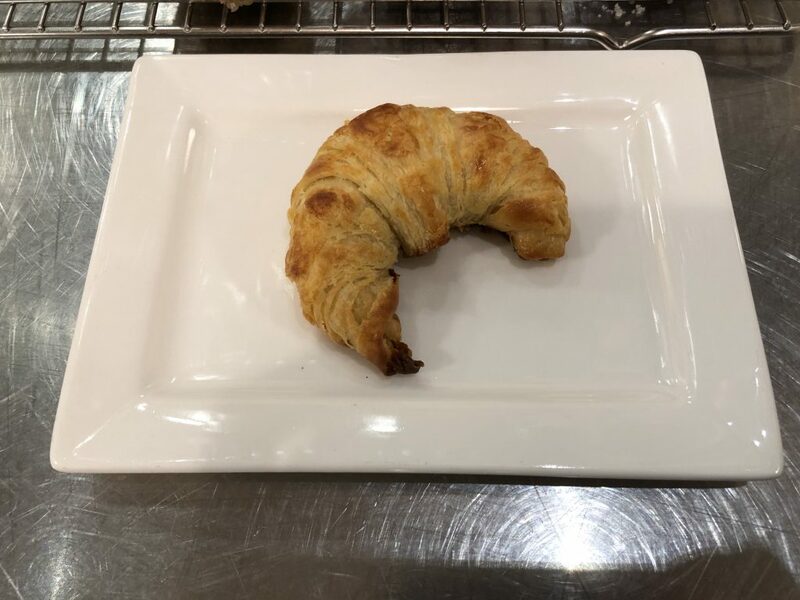 So we learned how to incorporate a LOT of butter 🙂 into the layers of dough, and how to cut it into pieces and roll it to give it that classic croissant shape. 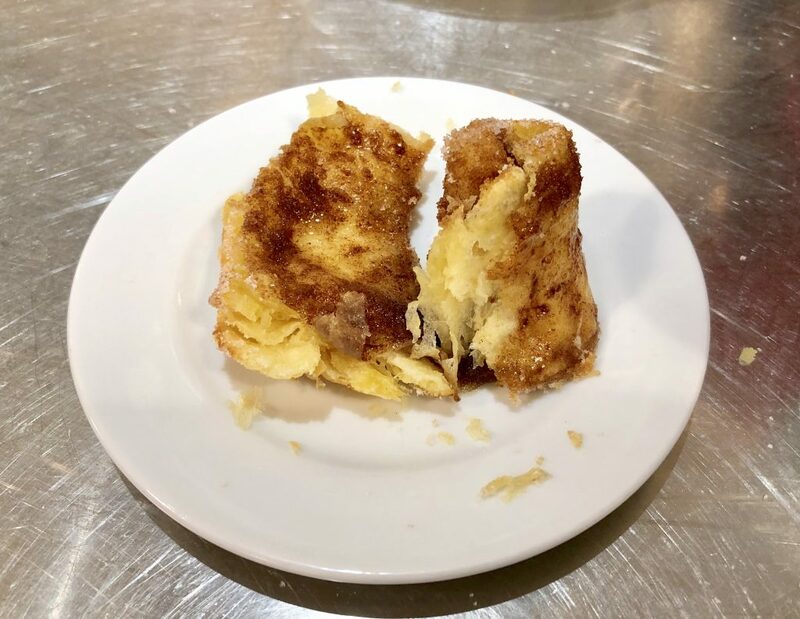 We also used half of it to make “morning buns,” which were really wonderful cinnamon rolls. We made those first. We learned all kinds of techniques and tips. 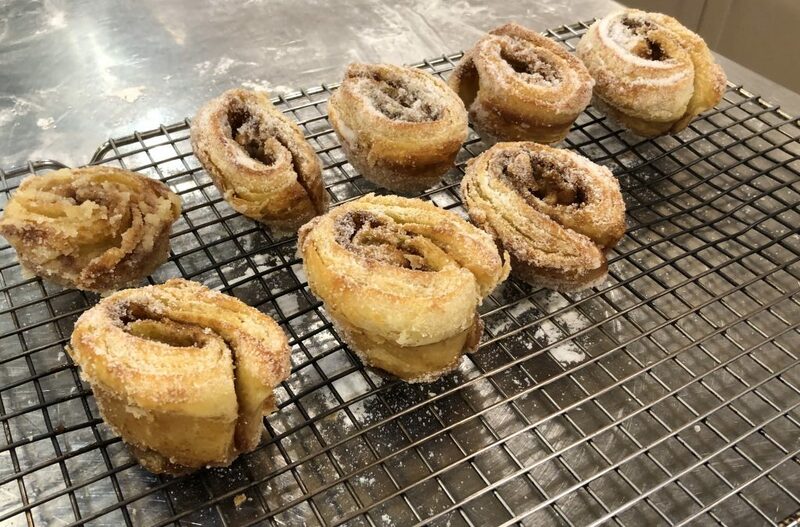 One thing I learned about making cinnamon rolls was that I had been baking them wrong all these years by putting them all in a round cake pan with the sides touching. This causes the outside ring to bake properly but the ones on the inside of the circle don’t always bake all the way through and the dough is raw. 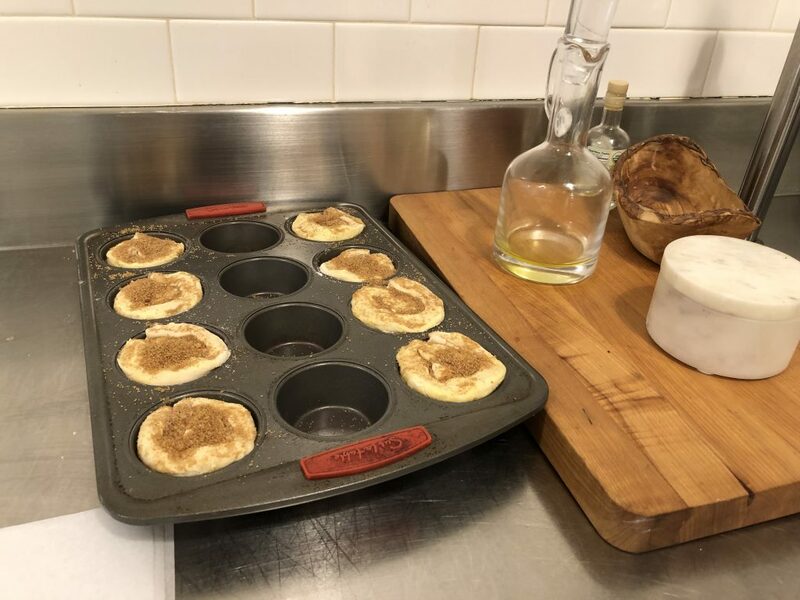 The chef showed us how to bake them as muffins in muffin tins. These things were so delicious. Especially with a cup of coffee. 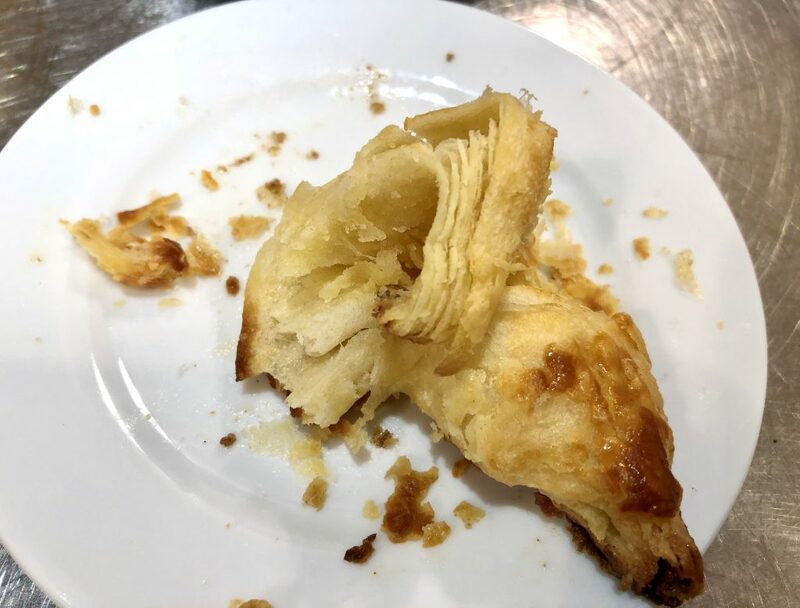 Look at my flaky layers! So that was a good day’s work. 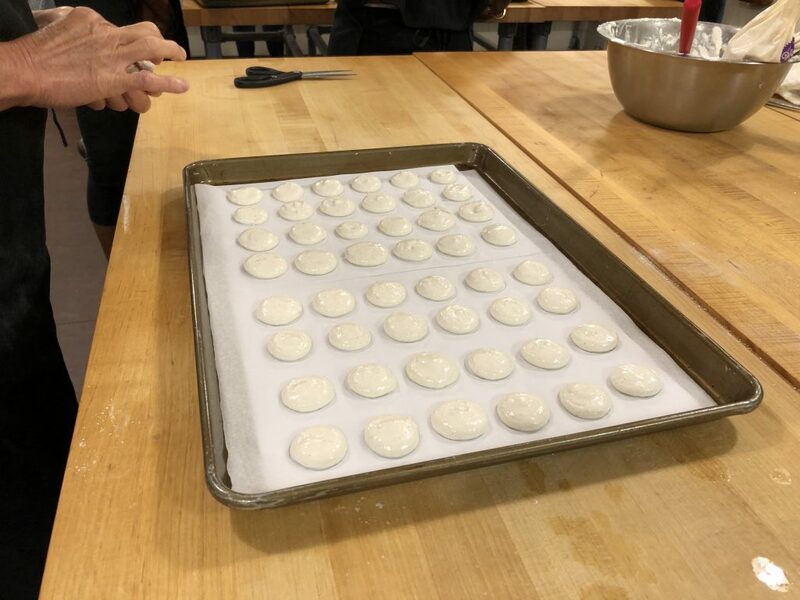 A few days later, I went back to learn how to make macarons. 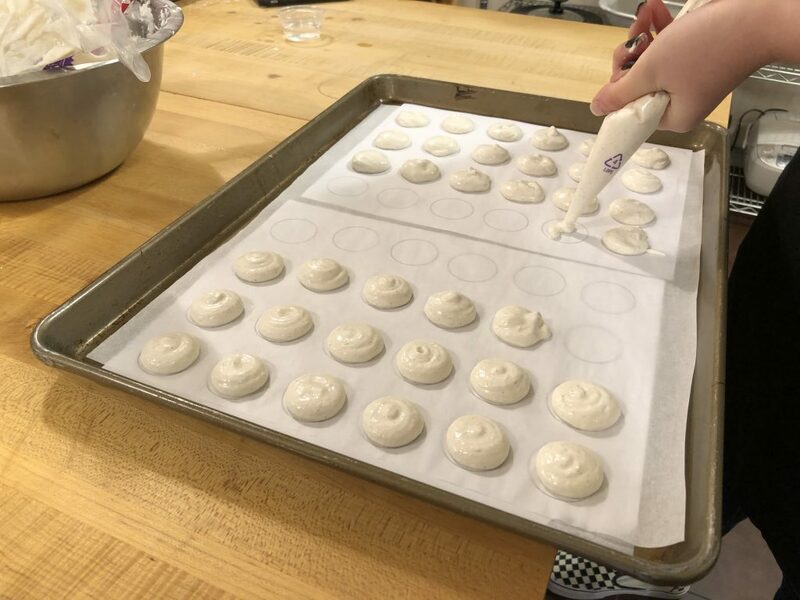 Not macaroons, but macarons, that delicate meringue based French confection that is like eating a fluffy little pillow. 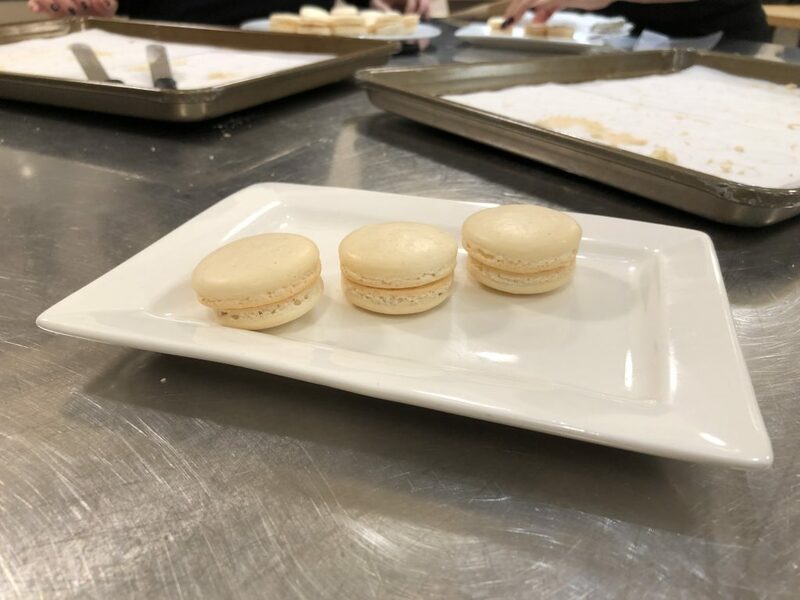 These are finicky little things, and we were shown techniques for making the meringue and incorporating the batter and piping the macarons to make sure they turn out right. These are best made on a dry day. It was raining the day we made them but we still had pretty good success. 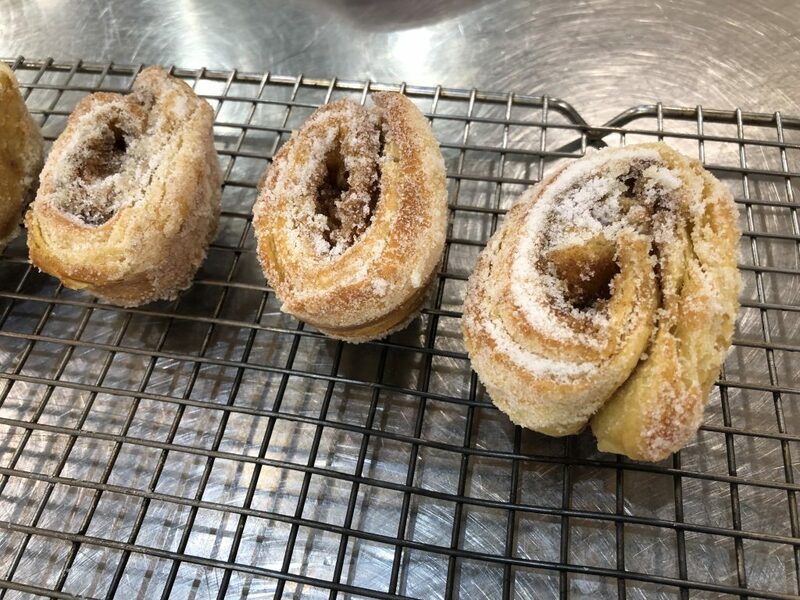 As with the croissant class, we were divided into groups and we all took turns mixing and piping and filling. We learned tips like how to get rid of that little “tip” on top so that they bake flat and properly. 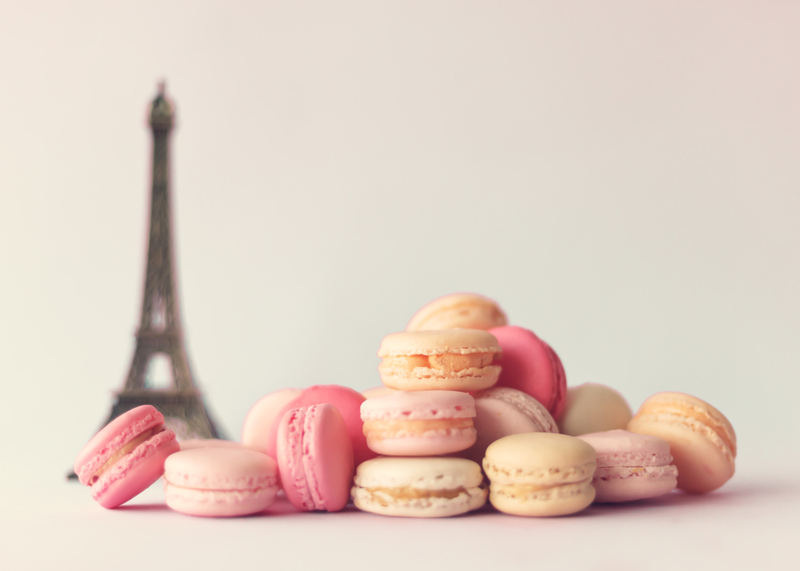 You ever so slightly wet your finger, shaking the water off, and gently press the top of the macaron to make the tip disappear. 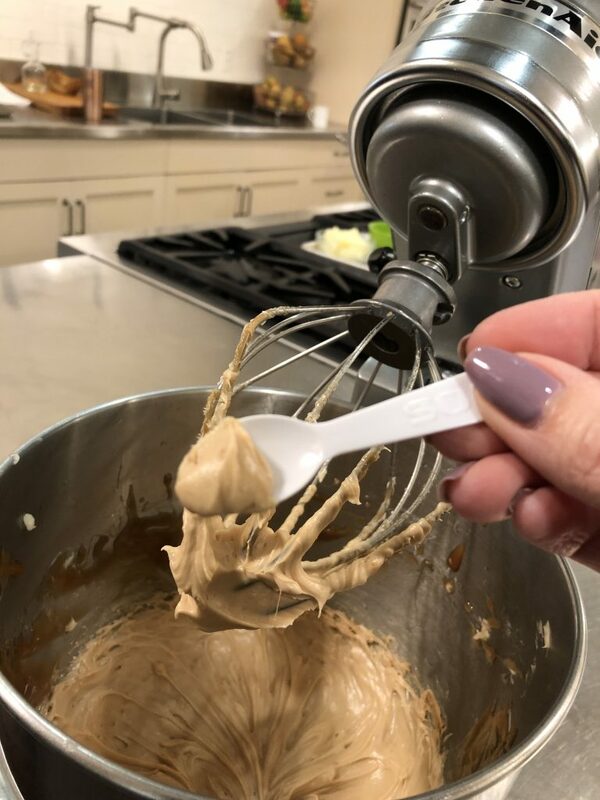 While the macarons were baking, we learned how to make Salted Caramel Buttercream and Chocolate Ganache. YES. 🙂 These were for filling the cookies. Then we turned it into buttercream. Then we made the chocolate ganache. 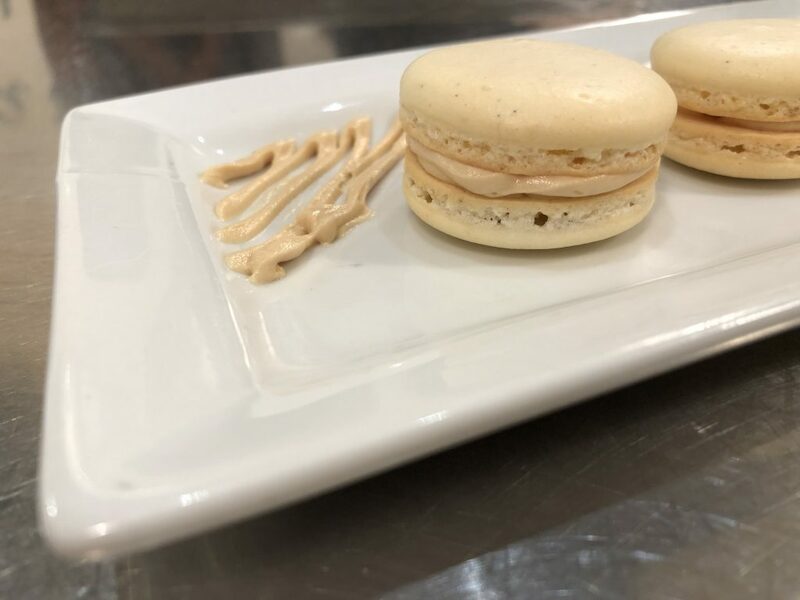 Our macarons turned out really pretty, with the proper “feet.” We also had some that weren’t quite so pretty, but we just ate those. 🙂 But these were some of the good ones. We filled some with the Salted Caramel Buttercream. There were two young girls in our class that really wanted to decorate the plates artistically. I think they did a great job! As I said, you can sign up and pay for classes online. 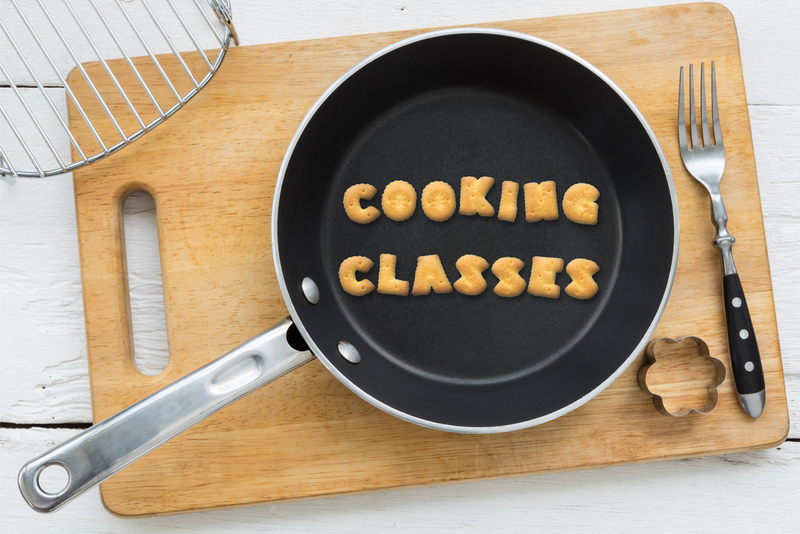 There are so many different cooking classes from which to choose. 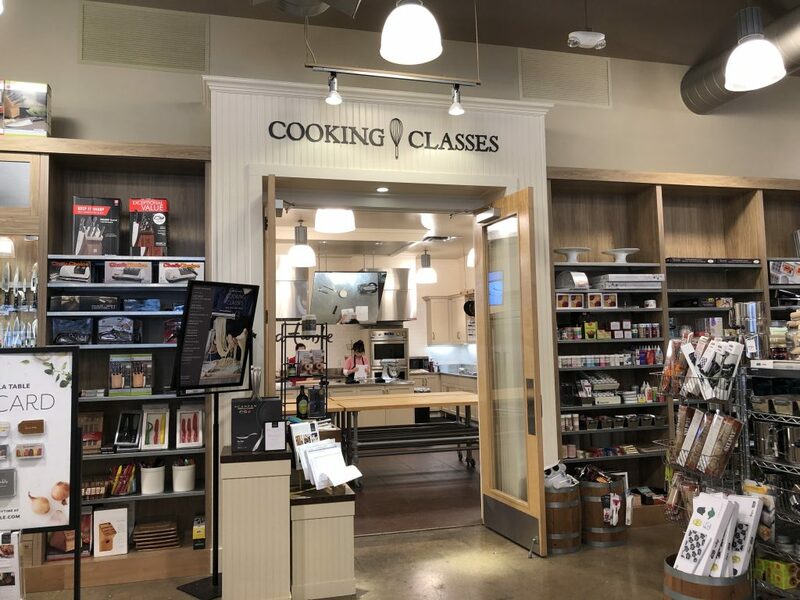 They have Date Night cooking, brunch recipes, pasta classes, and regionally themed classes like Thai cooking, Tuscan cooking, and so much more. Sometimes you even get a cooking implement as part of your class, like a cake stand or a skillet. And as a bonus, if you sign up for another class while you are there for your class, you get a discount on the upcoming class. You also get a discount on anything you buy in the store the day of your class. I got this nifty little kit to help with making the macarons. I don’t like messing with pastry bags so I’m anxious to use this. 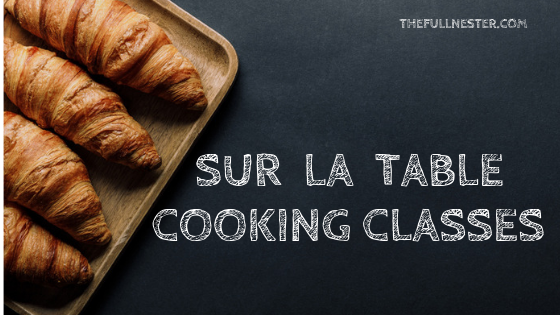 I would really encourage you to try out the cooking classes at Sur La Table. They are really fun and educational! And, if you’re maybe looking for a part-time job, check out the jobs they may have listed in the classroom. There was a wonderful lady working in our classes as a Kitchen Assistant. She just kept everything running smoothly by cleaning the countertops after we messed them up, washed pans and bowls and utensils, and kept the coffee maker full of fresh beans. 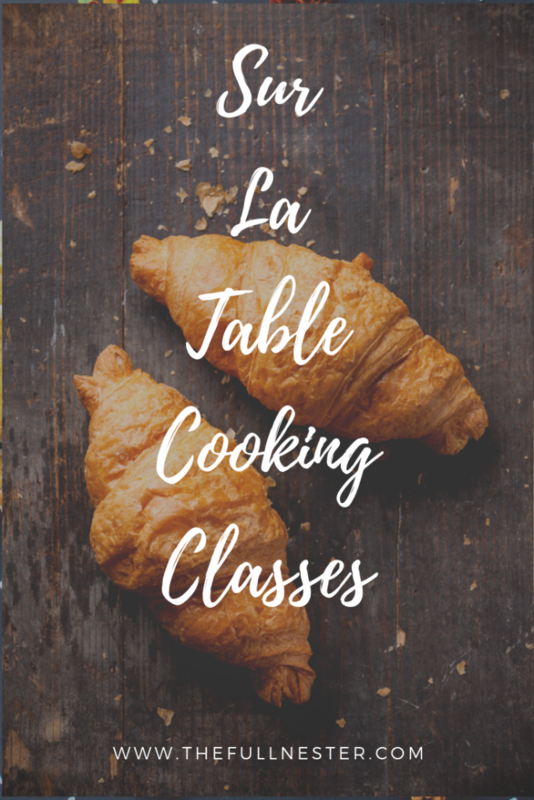 If you don’t have a Sur La Table where you live, I’ll bet there is still someone offering cooking classes. So look up Sur La Table in your area and go cook something wonderful!